The Brigade 596 under the Signal Corps is responsible for maintaining communications for leadership and direction over military and defence operations, including the maintenance of communication systems for Truong Sa archipelago, DK1 platform, front-line islands, border posts in the Southwest, as well as search and rescue, and flood, storm and forest fire prevention and control operations in the South. 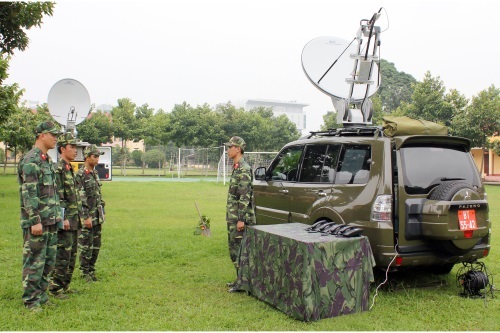 To implement “the Strategy to develop the military communications system in the 2011-2020 period” and to build “revolutionary, regular, elite, modern” Corps, “Electronic Corps” and “Learning Corps”, over the past years, the Brigade has been provided with modern signal equipment. However, that requires the Brigade to unceasingly renovate and improve the quality of training, exploiting and mastering modern materiel. First, it has strengthened leadership and direction of party committees and organizations while promoting the role of commanders at all levels in the training work, particularly in training to master new equipment. 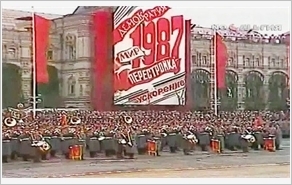 The Brigade has regularly grasped higher echelons’ directives and resolutions on training work, with a focus on the Central Military Commission’s Resolution 765-NQ/QUTW, the Resolution 599-NQ/ĐU of the Signal Corps Party Committee on “enhancing the quality of training in the 2013-2020 period and beyond”, the Corps Commander’s Order of combat training and guidance of functional agencies on training working. Grounded on those documents, the Brigade Party Committee has developed a special resolution on “improving the quality of training, regularity building, discipline management”, while formulating plans and programs to implement the resolutions in accordance with the particularities, organizational structure, function and task of each office and unit, and introducing them to every cadre, party member and soldier. All-level party committees’ quarterly and monthly resolutions have all evaluated the results of leading and directing the work of training to master materiel; opportunely supplemented content and measures in line with mission requirements and awareness of each group of troops; and heightened responsibility of party committees, commanders, offices and mass organizations. As the Brigade consists of various forces, specialties and specialized materiel, it has directed affiliated offices and units to actively renovate form and method for introduction, education, and determination building in accordance with each group of troops; to unceasingly enhance the quality of party and political work for training tasks; and to organize the “Determined to Win” emulation movement in association with the Campaign “promoting tradition, devoting talent, deserving to be Uncle Ho’s soldiers” with emphasis placed on realizing content and targets of training. The training work has always carried out practically and effectively, thereby avoiding formalism, subjectivity, and disregard for the training work. Moreover, the Brigade has concentrated on renovating the method to train, exploit and master materiel as the determinant to the result of training. Before each training course, units organize their structure from section level to company level; direct advisory offices to formulate plans and procedure for training scientifically; and identify training duration, content and program for each group of troops. Besides selecting and dispatching cadres to attend training courses launched by higher echelons, the Brigade has successfully carried out the work of training and cultivating cadres and specialists, particularly new graduate cadres and section-level cadres. It has actively consolidated the system of teaching models and aids, assigned lesson preparation, ratified and approved lectures, and implemented the inspection regime according to regulations. It is noted that the Brigade has applied information technology to the work of preparing, managing, operating and organizing training, and produced good results. During training process, the Brigade has followed the motto of “basics, practicality, firm grasp”; focused on training radio teams on a synchronous, specialized basis in accordance with its organizational structure and equipment; closely combined training under basic programs with training in specialized groups; attached significance to training its troops to master the existing equipment, especially modern one. It has proactively trained the core technical force with due regard paid to training information technology and standardizing elements for regional signal integration. Moreover, it has set up and compiled the possible situations during the process of signal support and emergency relevant to each type of equipment, while organizing training for each situation. As for the work of training cadres, the Brigade has advocated acceleration of self-study under the guidelines “studying according to function, tasks, and daily situations taking place in offices and units”. Focuses of training have been on new issues and weak, unsystematic points, such as the sequence of steps to change combat readiness states; signal operation staff work; military communication regions and networks under the unit’s management. To ensure the appropriate proportion between theory and practice with the latter as the main, the Brigade has increased the training duration in the laboratory and by equipment, while eliminating theory-based and idle training. As for old-fashioned hardware, it has trained its troops to manage and exploit them in tandem with modern hardware and brought into play knowledge and capability of cadres and technicians to maintain, repair, increase life expectancy and efficiency of equipment and tap spare parts of obsolete machines, while heightening the spirit of proactiveness, activeness and creativity in exploiting and using modern equipment. In cooperation with telecommunications enterprises both inside and outside the Military, it has launched training courses for its staff to gradually master equipment and cutting-edge technologies. It has also cooperated with the Viettel Military Industry and Telecommunications Group in operating and handling information, and exchanging telecoms facility, thereby ensuring constant, sustainable, firm communications. In addition, the Brigade has regularly held competitions, such as good company commanders, good commissars, good platoon commanders, good party cell secretaries, and so on. To enhance the capabilities to exploit and use new equipment, military digital network and army-wide computer network as the basis for modernizing the commanding system at all levels, the Brigade has held specialized training courses for the technical staff of its affiliates as the core force in receiving, exploiting, and repairing new-generation equipment and hardware. Importance has been attached to the training work to connect information networks, withdraw and establish posts, station, and general stations, particularly the Vinasat satellite information network, communications network, and television network for islands, platforms, naval ships, coast guard and border guard units, thereby helping commanders at all levels grasp the situations. Due attention has been paid to training and exercise according to operational projects. In the past 5 years, the Brigade has organized 28 technical training courses for 750 cadres and professional level-raising exams for 697 technicians in a close, strict manner. Moreover, the Brigade’s technical force has combined mobile technical maintenance and repair with training to enhance the technical staff’s capabilities in management and repair, thereby contributing to effectively managing and exploiting the military communications system, meeting the mission requirements in all situations. As a result, the Brigade’s staff’s capabilities of exploitation and settlement of situations during the process of maintaining communications have been improved considerably. The establishment of mobile communications stations and general stations has met the technical requirements in a quick, qualitative manner, serving the important events of the countries and the Military, such as the establishment of the A40 Switchboard for the Armor Corps’ exercise TG-16 and the Air Defence - Air Force Service’s exercise TS-16, the organization of signal integrated training in the area of the Military Region 9, and the maintenance of communications for the field hospital exercise in the Military Region 7, which were highly appreciated by the Ministry of National Defence and the Corps. As a unit under a technical corps assigned to manage and exploit a large number of modern, specialized weapons and equipment, the Brigade has attached great importance to the work of technical management and training as well as the work of safety maintenance. It has regularly rendered its staff highly responsible for managing and exploiting signal equipment, while qualitatively and quantitatively consolidating and improving knowledge of its staff as the core force in technical work of units. As for cutting-edge equipment which requires professional competence and great caution, the Brigade has demanded that during the course of training, its staff must pay due attention to every movement from simple, easy one to complicated, difficult one, in order to ensure the synchronous operation of the equipment. At the same time, it has directed affiliated offices and units to strictly maintain the regulations on and the order of technical work as well as the regulations on maintaining, repairing, sealing and extending life expectancy of signal equipment. Besides, it has accelerated the implementation of the Campaign “managing and exploiting weapons and equipment effectively, sustainably, safely, and traffic safety”, while encouraging its staff to apply technical initiatives and innovations to training work and communications maintenance. Taking the above-mentioned measures actively and synchronously, the Brigade has witnessed far-reaching, firm changes in the training work, contributing to maintaining the communications system, meeting the mission requirements of offices and units in the South of Vietnam.